It has been so easy for us to get outdoors this week with the amazing weather. We have packed in so many fun things over the last few days to make the most of the weather. 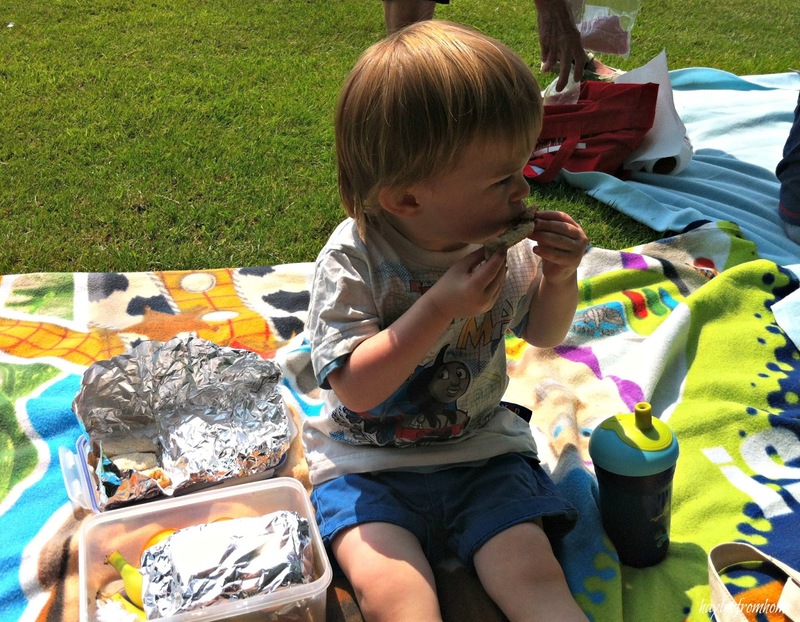 We’ve been to the playground with Lucas’ cousin and had a picnic at the park, we’ve played in paddling pools and kept cool in the garden, we’ have had so much fun with family and friends. He loved being at the playground with his cousin but getting him to sit down for a picnic was more of a challenge; he is definitely a flight risk! 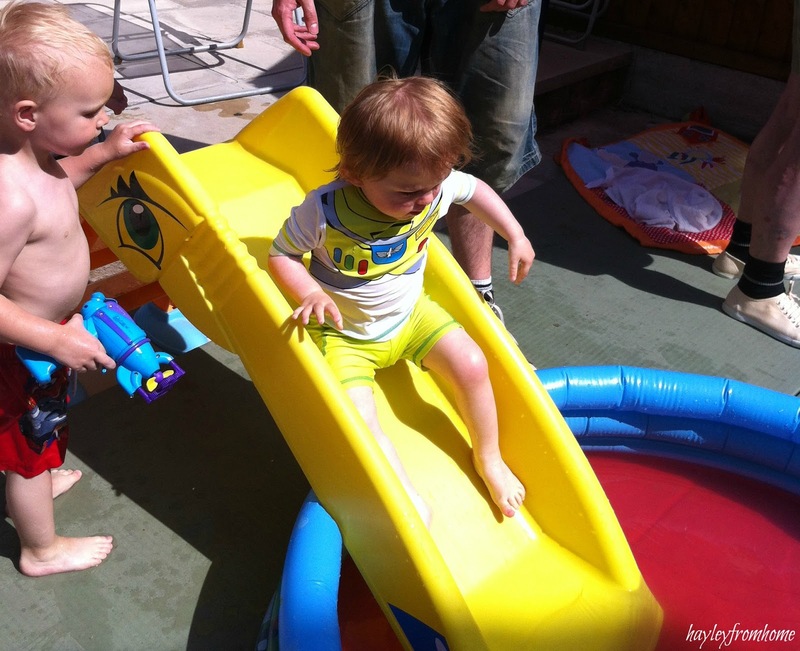 Lucas has never been a natural water baby but with some encouragement he finally went down the slide into the paddling pool and then there was no stopping him. We filled his little car ball pool with some water when we got home and he was straight in there (as was everyone else, at his request). I think back to last summer and he was only just starting to walk and now we are the ones trying to keep up with him and it is amazing fun. I’ll leave you with my favourite photos of us enjoying the sunshine and I hope you are all having lots of outdoor fun in this amazing weather! With Nanny in the paddling pool. 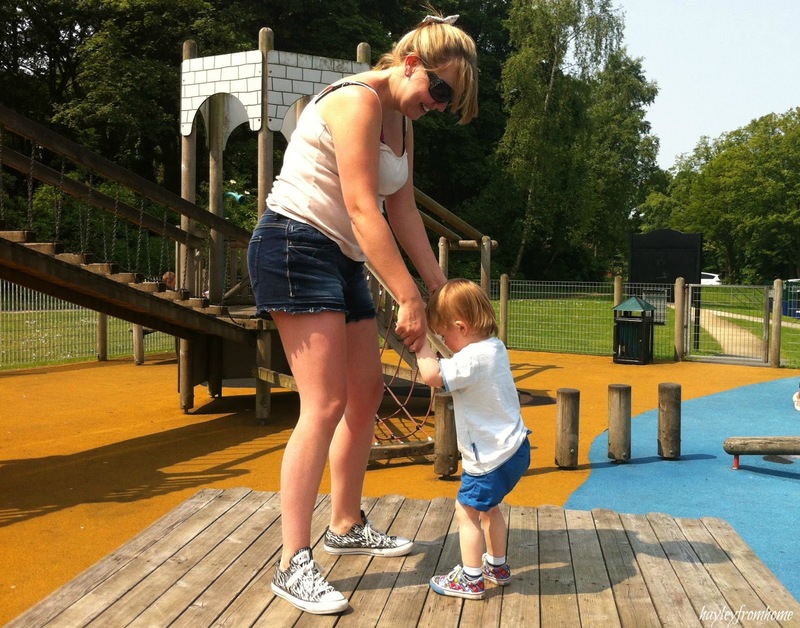 Dancing at the playground with his Auntie. 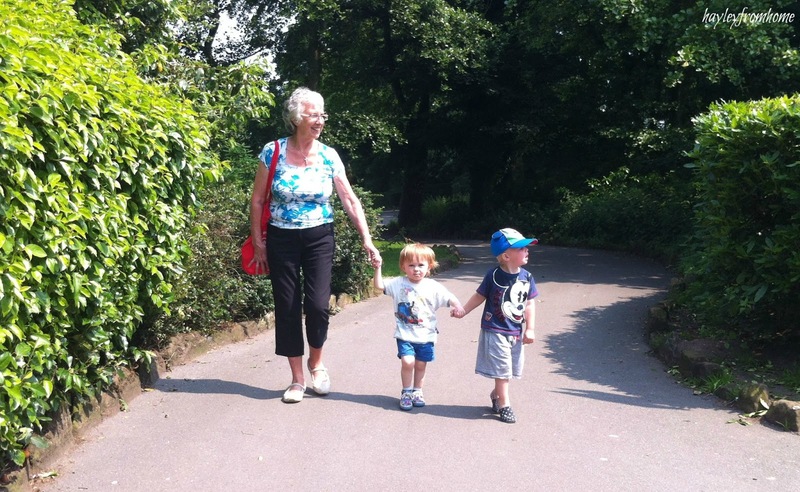 Walking with Grandma and his Cousin. Wahoo! Finally in the pool. Lovely natural summer fun. England is so beautiful in this weather and entertaining children as easy as can be. Thank you for sharing a delightful few days on Country Kids. Aww !! he is so cute!!! thank you for sharing this sweet post! !